Please go to that site for current and uodated info on our events. The eteamz website will no longer be updated. 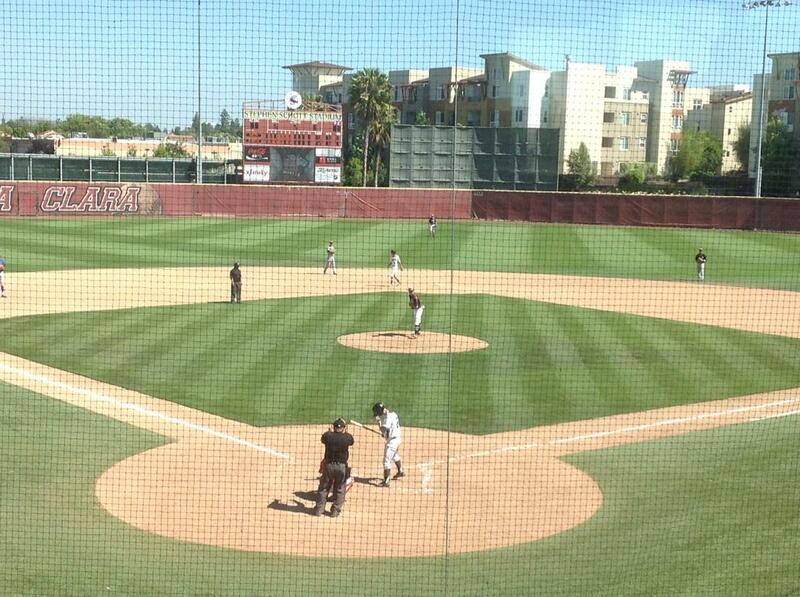 The 47th NS Series was played at UC San Diego. The North won the first and third games by scores on 9-6 and 1-0. The South took the middle game by a 13-1 count. 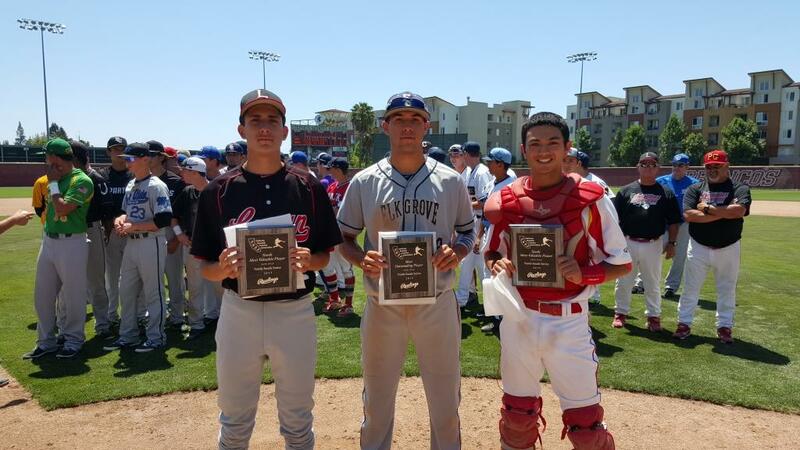 Most Outstanding Player was Marcos Castanon (Carter HS). The North MVP was Ryan Cole of De La Salle. The South MVP was Trevor Halsema of Madison SD. 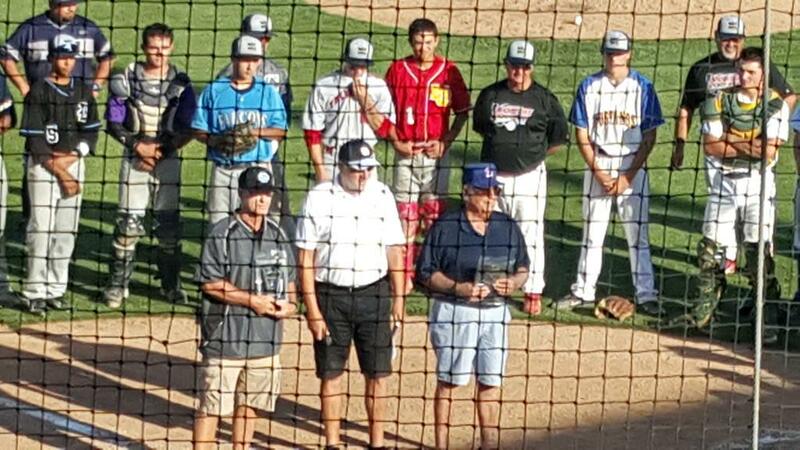 The CBCA honored 3 tremendous coaches during the North South Series at UCSD on June 18th. 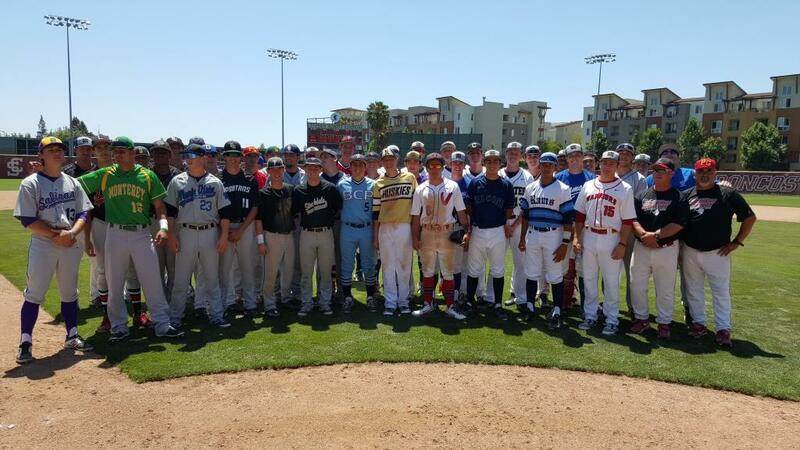 Dave Gonzalez (Eastlake HS), Gary Rungo (Arlington HS) and Fred Warrecker (Santa Barbara HS) have been outstanding contributers to baseball at their schools and local areas. Success and Service are the words used to describe our ever growing list of coaches' accomplishments. For a complete list of past honorees, please use the link on the left of this page. 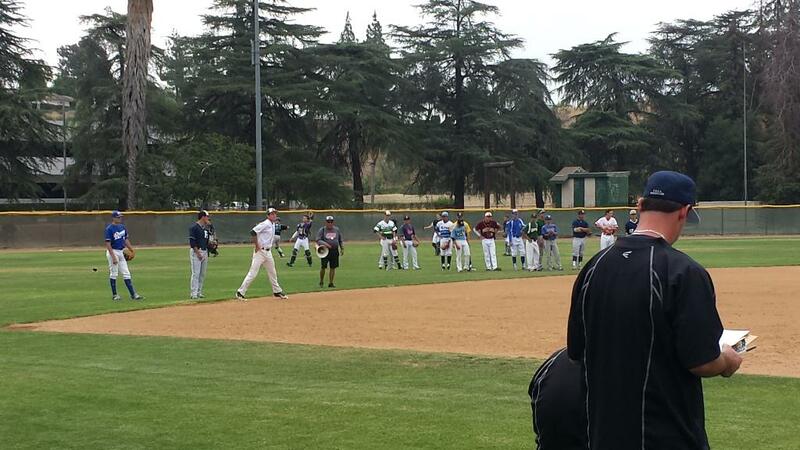 The clinic was held and was a big success thanks to the efforts of John Diatte and Bill Hutton. Rawlings Sporting Goods and J-DUB Company are the sponsors of the CBCA. Please go to our sponsor page by clicking on the link to the left. Clicking on their respective logos will get you their websites so you can see their products. When considering a purchase, remember Rawlings and JDub, first. Dirk Baker has compiled a quiz which you can obtain to test the knowledge of your players. The link below will allow you to see the Collegiate Baseball Newspaper article covering Dirk's work. Sample test questions are at the end. He is up to almost 450 questions encompassing all of the skills, rules, strategy, and some history. The test is being used as a team fund-raiser, and over 300 copies have been sold in 42 different states. Most coaches use money out of concessions, booster club, or as professional development. Go to our handouts section and select articles to see the CB article. The Series was a draw!! The North won game 1, 10-2, by breaking up a tight game in the 7th inning with 7 runs. Game 2 saw a 1-1 tie as the North rallied in the bottom of the last inning to ties the game on a double and two sac flies. Game was a 2-0 victory for the South. 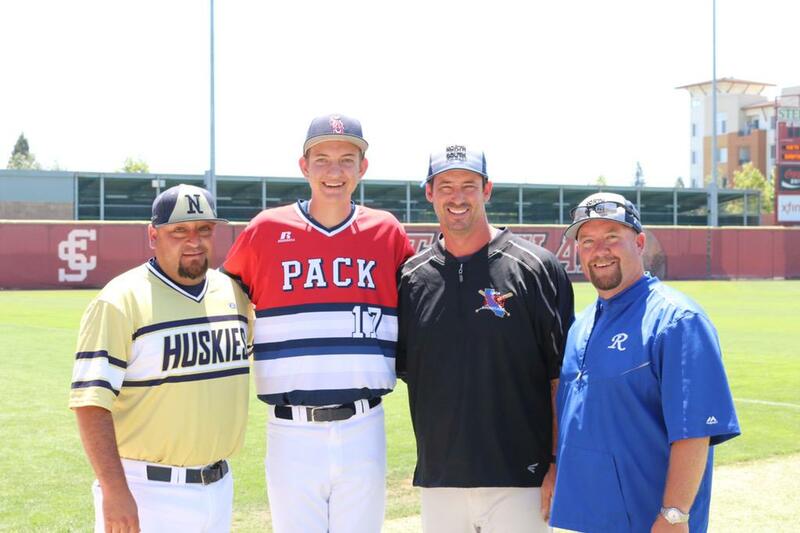 Dylan Carlson (Elk Grove) was named the Series Most Outstanding Player as he went 4-7 with 3 walks and 3 rbi's. Rogelio Reyes (Logan) was named the North MVP. Daniel Cope (Mt Carmel) was the South MVP. The CBCA is pleased to announce that the coach honorees for 2015 will be Bill Eatinger from San Gorgonio HS and Cas Munoz from San Leandro HS. These two coaches have made great contributions to their schools and the baseball community in their area. These men join a long list of Hall of Fame honorees that can be found by the link on the left side of this page.